Ability to import URL redirects using a .csv file. New 'Notes' field against any custom field created in the admin. It would display next to the field when clients are creating Custom Module items and could provide additional info to help them when entering content. Liquid (and module rendering) inside other text based files such as .css, .js, .xml, .json, .txt, etc. Add ".liquid" suffix to the file URL to force it to be processed by the liquid engine. - Ability to filter Custom Module items using JSON Query Language Syntax inside "filterBy" parameter of Liquid module component. The ability to create new HTML elements while editing in nICE - such as new paragraphs as opposed to just a <br>? Or even duplicate an element, or group of elements (<div>), and reorder them, etc. The ability to change images. 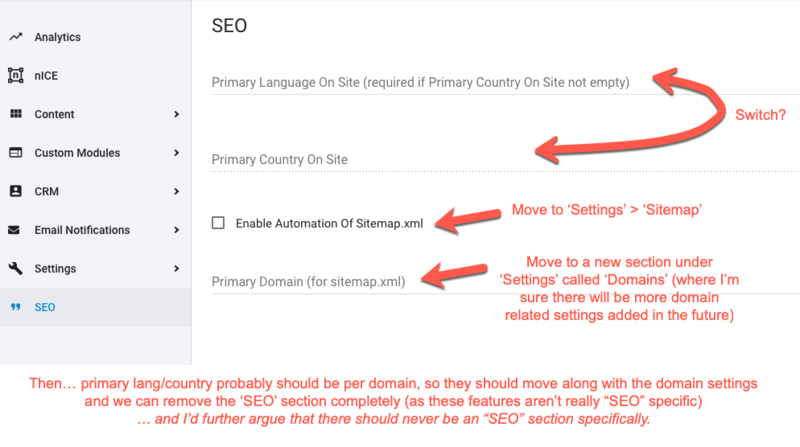 The ability to have a "Site Setting" App, where it is possible to add settings for the client that one could then feed and use throughout the entire site. It could be things like logo, phone, email, address etc. Release *time* for blog posts, custom module items, pages etc. So instead of just a release date, also have the ability to choose a specific time the content is released. Feature request: BC handles webapp file uploads by leaving them in an open/unprotected directory. To have a protected folder (password/encryption/other) for custom module uploads. The ability to duplicate existing custom module. Extended feature could be the ability to export settings/layouts etc. for Custom Module and import it in to another site. To use and share between sites of a single partner and also between partners. WYSIWYG editor so that customers can update the content in autoresponders. Request for a custom liquid filter that appends/prepends strings (or variables) only if the target object is not null or empty. This will be useful when we have properties/values we want to conditionally output within it's own HTML structure only when it is present (which is a common task). In general the possibility to add images from a folder. · Allow for adding attributes such as tags, titles, SEO tags and captions. The ability to assign templates on page. Possibly a special line in the head. 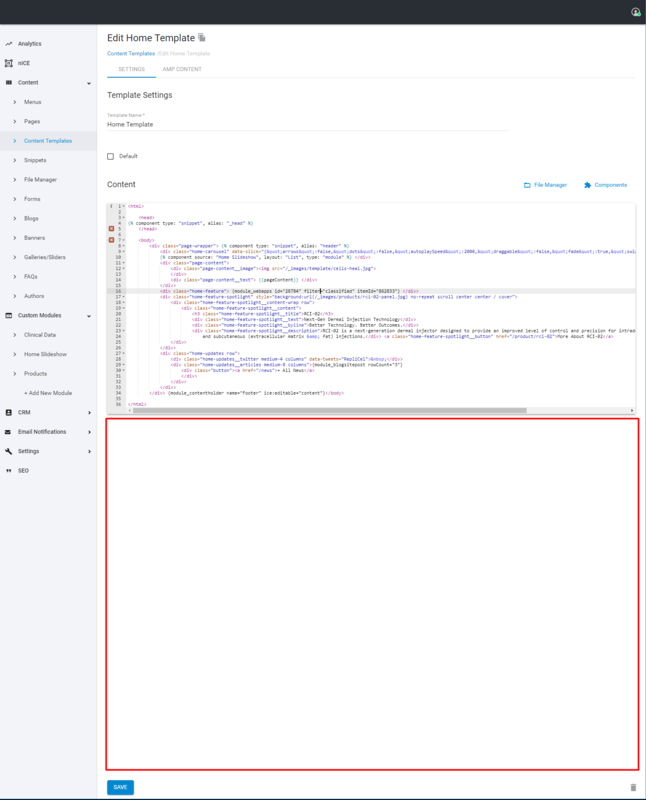 Then one would be able to assign templates to pages uploaded with FTP, in the HTML instead of assigning them after upload. - "/url/path/index.html" page to be always resolved under "/url/path/" URL. The ability to exclude certain areas from being editable. Or to make areas that currently aren’t active, editable. Zapier integration to handle the connection between Treepl CMS and apps that Zappier supports. User add a custom module item from the frontend. Zapier could push this to slack, facebook, mailchimp etc. Now that we can add a form to a website to take payments, we need to look at getting some more payment gateways available so that clients can be migrated. Roll back function on pages, custom modules etc. The ability to do offline payments. Compact view for list of items similar to Gmail. Items sequence controling via drag and drop functionality on the list of module items. Ability to pass unique <head> page content and merge it with page's template <head> content. - Reduce spacing of columns in tables on screens with 1280 pixels and less. 1. CSS blur filter is not widely supported - this gives us 100% browser compatibility. A ‘Recent Items’ section to quickly go back into last page/module you were in, without having to navigate back to that page. Two checkboxes to disable detail view and Template selector. "Enable Detail Layout" hides Detail template selector and url text field. "Enable Template" hides Template selector forcing form autochoosing pre-defined in settings template. Give the user the ability to setup how list view is shown in the different modules/pages etc. to match the need of the user. In blog posts the system expects you to select a template and by default it sets this to that of the Blog. It would be great if there was an option of say "Blog default" so if you ever change the template for the Blog, all posts are subsequently updated also. The ability to output all available liquid on the current page. The ability to pass down variables/liquid collections from templates to pages. Some way of knowing if other admins are logged in to a site. One of my main reasons for this is to see if another dev is logged in to a site so we don't overwrite each other's changes. In the UI when activating a site, for the step of creating an A Record, could you change the instructions to read the IP for the chosen Data Centre and not just the IP for the US Data Centre. Make the editing area fill the vertical space in the browser window. Custom Module: Custom Properties. Rename "Text (String)" To "Single Line Text" Or "String (Text)". Implement the icons in “Content” section that are already under the components insertion list. Similar features to manipulate date+time with liquid. BC’s Liquid Date Filters allow you to add add or subtract units of time - year, month, days hour, minute, second & millisecond). BC’s Liquid Date Filters don’t require you to convert to ‘seconds since 1970’ to do any comparisons. You can handle dates or date+time. It would be good if all the dates that are displayed in the Admin were formatted as per that site instance timezone/local. This could be quite confusing for the client. Ability to assign multiple Owners (“Added by” field) (similar to how we can with Tags and Categories) to an item as there could be multiple contributors. This would need to flow through to the customer-submitted content process. Particularly where you have “Anyone can edit items” enabled so multiple editors/contributors are recorded against the item. Currently pagination outputs raw unordered list. Apply some default formatting to remove the bullets from the list and make it horizontal. Also by default it would be nice to truncate the pagination with “…” and show the last page if there are over 5 pages. 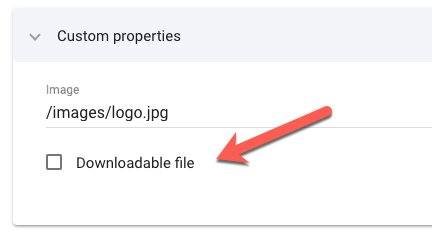 When adding a ‘Media’ field type in a Custom Module the “Downloadable file” option is automatically added under the field. I like to see this removed as it would surely not be used all that often and creates confusion and clutter in the interface. Items imported into Treepl using Templates do not always need to be found by Site Search. By default, all imported Items are found by Site Search. In Use Cases where Items should not be searchable it is necessary to edit every Item after it is imported and check the Disable From Site Search check box. After site activation, both custom domain name and treepl/trialsite domain should be shown. The ability to add a password manually in the CRM. Version 3.2 brought a change to the SEO section changing the ‘SEO Title’ field name to ‘Meta Title’. It would be great to have this passed through to the Liquid property naming also for consistency. Functionality to sell member ship to a secure zone e.g. : on annual basis. The ability to upload multiple files into one input field, so it is possible for the user to do bulk upload to forms, Custom Modules input form etc. The reindexing process should be automatically triggered by any item edit that would require it. So admins and clients would not have the need to manually press the button. The ability to add an image and event time. When on the Pro+ plan we gain access to the advanced Settings and Properties (including Custom Properties) for built-in modules like Blogs, Banners, Galleries, etc. It would be great to have access to ‘Item Properties’ and ‘Custom Properties’ for Pages as well - since they work on the same module structure. One of the banes of using the WYSIWYG editor is not knowing what style ie. Paragraph, H1, H2 etc has been set on a selected element in the editor without dropping in to HTML code to check. Not sure that user-submitted CM items are honouring site timezone for release date and expiry date IN THE WEB FORM RESPONSE - actual dates in the admin and when later rendering on site are correct. Release date is always different. Scheduled items are already planned for development and prioritized, therefore don’t require voting from Partners. The ability to use style options like bold, italic, colors, etc. And have a full WYSIWYG style popup/editor interface. The ability to let Mailchimp handle all the order notifications and the design of emails from there. So Confirmation, Invoice, Shipping confirmation, Refund Confirmation and Cancellation Confirmation gets done from there. Also the abandoned cart emails are in there. Treepl CMS is a hosted (SaaS) all-in-one content management system developed and supported by Code Production (division of Upgrade Parade). This is not your login into Treepl’s partner portal. Voting is an exclusive feature available for Treepl Partners. It helps us prioritize the development and deliver the most relevant features and improvements every two weeks. Please login to use your partner votes.